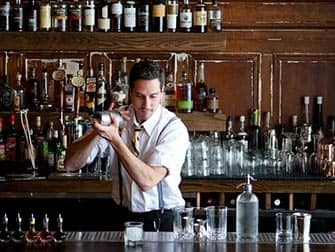 Discover New York’s hidden bar scene (speakeasy bars) on the Prohibition Era Bar Experience tour. This special tour will take you to four clandestine watering holes in Manhattan! Prohibition was an attempt to forbid the possession and consumption of alcohol in America during the 1920’s. But, as you know, “every law has a loophole”, and this one is no exception. A lot of clandestine bars opened all over America during this period. Some of which are still open and waiting for you in New York, but they are not always easy to find on your own! You can visit a New York speakeasy and be transported back to the 1920’s. 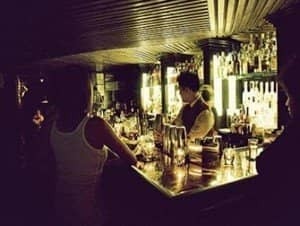 These bars don’t accept reservations, they are pretty exclusive and difficult to find, as they are hidden in unexpected places. That is why I recommend you to join the Prohibition Era Bar Experience tour. The Tour is led by a local guide who will talk about New York’s neighbourhoods and the prohibition era. 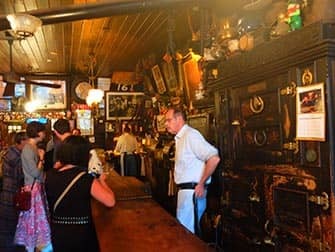 You’ll get easy access to four locations (including the oldest bar in New York) and three drinks and a snack are included. After the First World War came the roaring twenties. America was experiencing prosperous times and people were seeking freedom and fun. Nightclubs became the centre of the New York social scene. Then Prohibition arrived and put a ban on the sale, production and transportation of alcoholic beverages. But, instead of becoming a positive law it caused corruption and violence; the famous times of Lucky Luciano and Al Capone. A lot of hidden places to drink opened all around the US and alcohol consumption doubled. 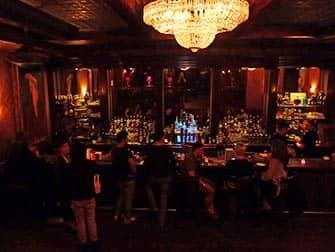 In New York, these hidden bars were named “speakeasies”, because you spoke quietly about them or when inside, so as not to alert the police or neighbours. Prohibition ended in 1933, but the speakeasies never died. Or their legacy, at least. Cocktails were born during the Prohibition, as the result of mixing the alcohol distilled at home with fruit juices, to cover up the flavour. Who could imagine a fancy night out without a cocktail nowadays? 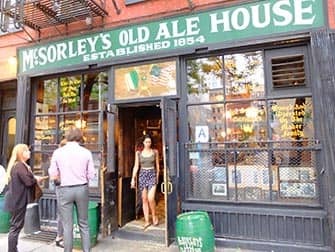 Eric’s Tip: I have been to a lot of bars in New York, but there were a few places that I visited with this tour for the first time. They are bars that, due to their inconspicuous and modest entrance, you wouldn’t necessarily go to. This tour is, therefore perfect to discover these places so you can go back again and again.